OCO joined Puresource’s house brands, some natural product brokers and other companies in providing a diverse showcase of natural and organic products to health food retailers from across the province. Jodi Koberinski provided a Keynote presentation on the status of organics in Ontario to an excited audience who want to be able to communicate clearly about organics to their customers. 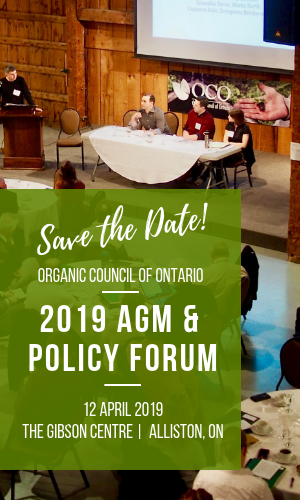 This was a great opportunity for OCO to connect with retailers and let them know about the support and knowledge sharing that we can provide as well as opportunities to participate in programs such as our $2 Today for an Organic Tomorrow campaign.